If you know me (and if you’re reading this it’s safe to assume you do), you know that the words “Simple” and “Holiday” don’t really go together in any sentences I would say. I’m an unashamed Christmas Nut. I love the Holidays, I even love Hanukkah! 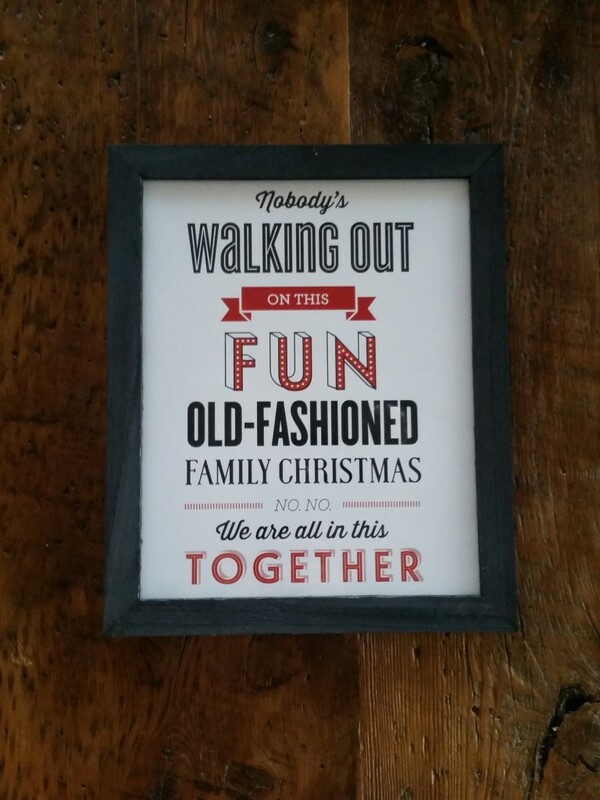 So, when one of my super-duper graphic designer friends was offering a free digital download of some of her typeface art, one with a Christmas Vacation quote – I just had to jump on it. Not that I am any sort of expert on Typeface Art – but I absolutely love Meagan’s work. 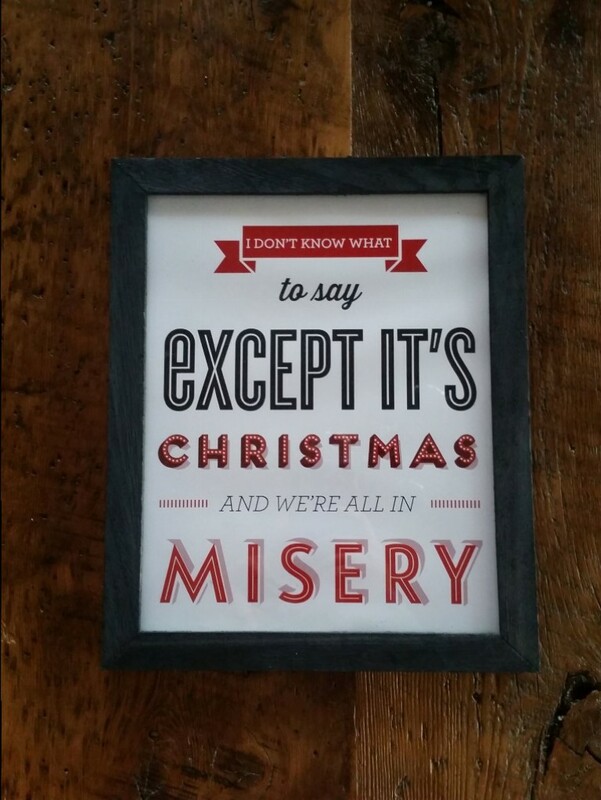 She’s got an entire full set of Christmas Vacation quotes up on her Etsy site and if it weren’t for the fact that some of them have (awesome) swears, I’d probably have an entire wall of them up this holiday season. She also has a bunch of Parks & Rec and 30 Rock stuff – going through them is pretty addicting, actually. I thought I’d show what these beauties look like framed and up. I literally printed these at the kiosk at Loblaws – but unless you have your own nice printer at home, I suggest buying the prints – the quality of instantly-printed ones at the kiosk is always iffy. The resolution on these was awesome though, so I lucked out (anything with more colour might not be as lucky). I popped them into some frames from Dollarama. 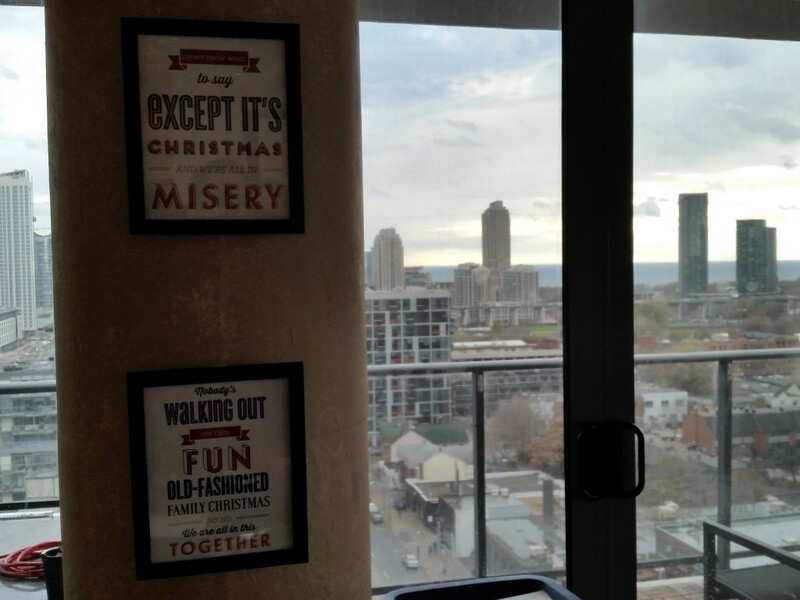 Since I’ll only be using these seasonally they’ll do – but if you buy something you’re going to display year-round, at least dish out for frames from Walmart or Ikea! Here they are with our wonderful city as the backdrop. I try not to make a habit of boring you with my silly holiday decorating – but these were just to pretty not to be shared. Once again, go check out ForthandWild!